We All Scream for Ice Cream at these Best Ice Cream Parlors in Delhi! Budget Hotels > Travel Blog > Places to Visit > We All Scream for Ice Cream at these Best Ice Cream Parlors in Delhi! If love is the universal language, then ice cream has to be the language of universal delight. This soft, sweet, gooey, melt-in-your-mouth dessert was probably invented by the Greeks or the Persians or the Chinese or someone else – no one can tell for sure. But what everyone will tell you is that ice cream is the panacea – the soothing salve every soul needs. 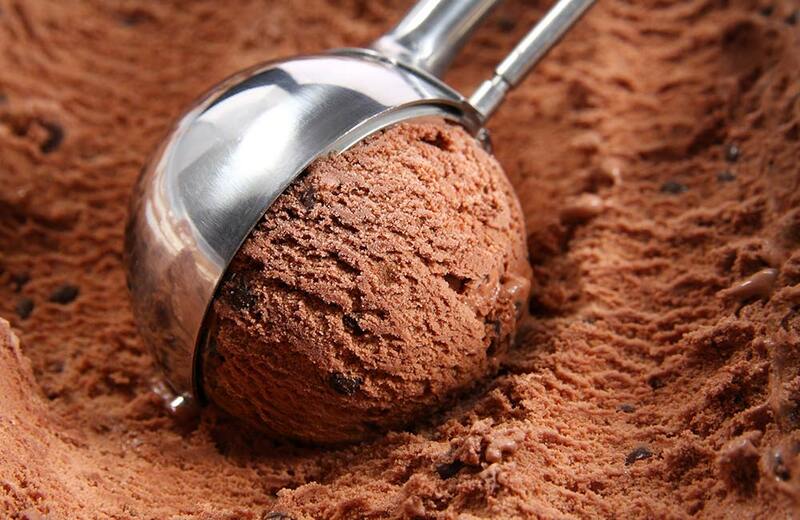 Ice cream will cure everything from a stubbed toe and exam blues to a bad mood or a breakup. And there are so many places you could get it. If you’re in Delhi, though, we’ve done some research and gotten you the list of some of the best ice cream parlors in Delhi. We’re also comatose from all that ice cream, but we’d do it for you any day! Start off your ice cream quest with Movenpick at Greater Kailash 2 because this is the authentic Swiss ice cream experience and you do not want to miss it. Or because they’ve got an ice cream platter with 4 – 6 scoops of different flavors. Sounds like a legit reason to us. 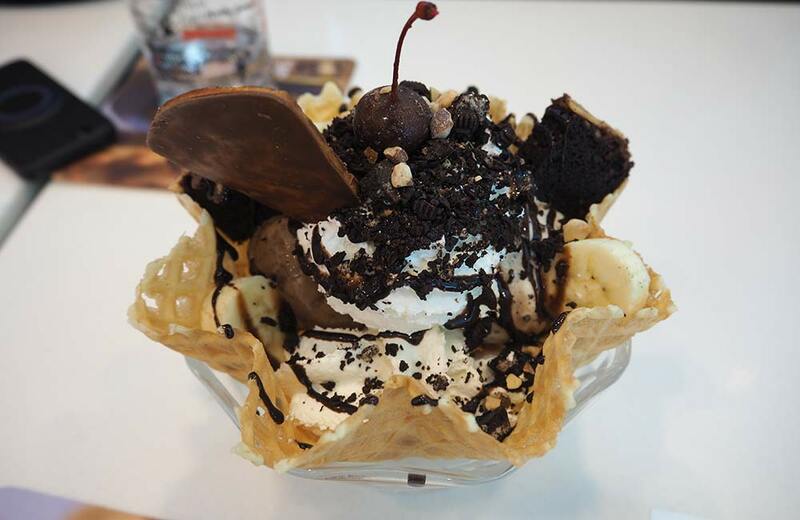 Although this Movenpick outlet is only a small shop in the busy M-Block market, it packs in a big punch with nearly 20 varieties of ice cream, each one with awesome toppings, available in waffle cones. Spend: ₹ 650 for 2 people, approx. ‘Jaatre’ in Kannada means a carnival and this absolutely heavenly ice cream joint is quite a carnival of flavors, doing justice to its name. When you want to slide off the regular ice cream flavor map of strawberry and vanilla and the likes, head to Jaatre in New Friends Colony to taste their sensational new flavors like Jamun-Jeera and Black pepper and Cardamom. Quite an explosion for your taste buds and you can enjoy your ice cream in the pretty little backyard they have. 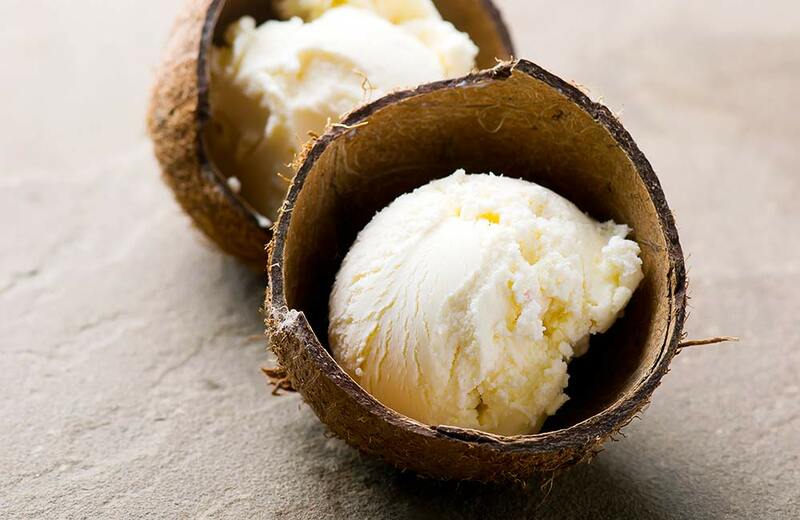 The ice creams are all small-batch and come in coconut shells. How’s that for unusual? Spend: ₹ 140 for 2 people, approx. Two words for you: Cake Batter Ice cream. Ok three. 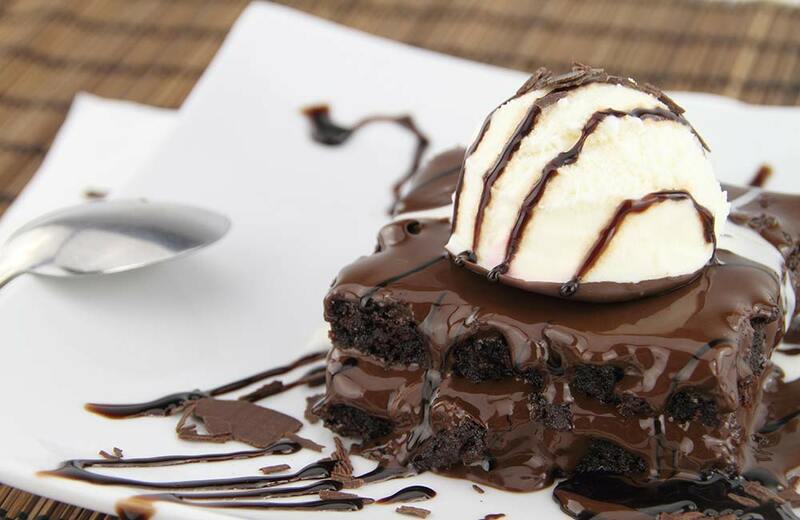 And that’s the best reason to troop to Cold Stone Creamery in Ambience Mall at Vasant Kunj. It only helps that each scoop you want is made on a cold granite stone slab from the freshest ingredients. And it shows in their thick, creamy ice creams. Hand-churned, topped with delish add-ons and served in freshly-made waffle cones. Do we need to give you more reasons to visit this little scoop of ice cream heaven? Spend: ₹ 350 for 2 persons, approx. If you have a sweet tooth and sense of humor, head to The Funnel Hill Creamery in the Green Park market for a fun experience. 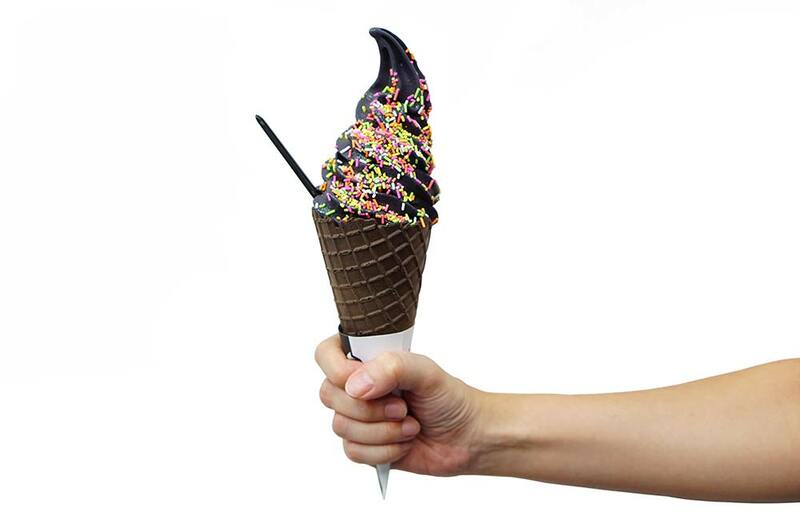 The first ice cream parlor in Delhi to serve black ice cream (yup! You read that right! ), The Funnel Hill Creamery is a cool, funky place that serves up some equally funky ice cream flavors. Try it for their crazy combinations and wholesome helpings. Spend: ₹ 800 for 2 people, approx. You’ve probably only heard of the (yummiest!) cheesecakes from Whipped. 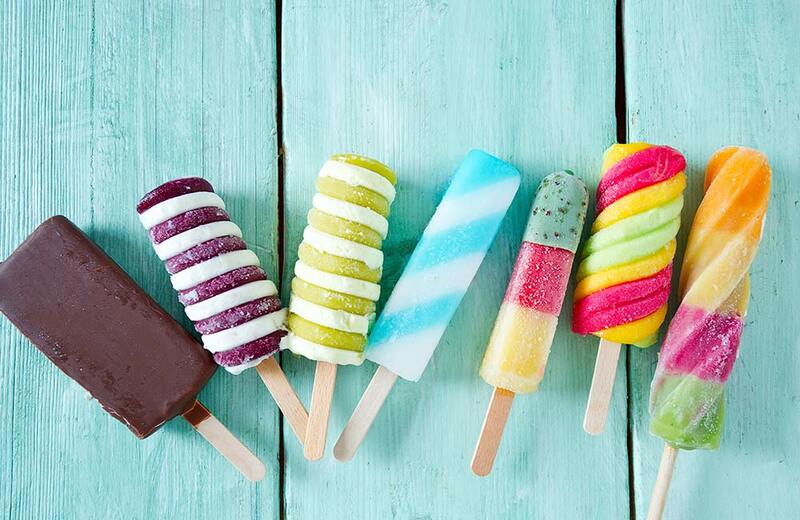 But we want to tell you about their ice creams…try them, try them now! Divine, heavenly portions of slurp-inducing ice creams that’ll leave you wanting more! Creamy, scrumptious and innovative, Whipped’s ice creams need to be tried at least once. Spend: ₹ 550 for 2 people, approx. Emoi is more an ice cream cart than an ice cream parlor but we’d put it among the best in Delhi. Why? Their ice creams are absolutely delicious, they come in the cutest shapes (like the Pawfee Pie, shaped like a dog’s paw, the three-tiered cake shape or the two-toned heart-shaped ice cream stick) and they’re served out of a creatively designed auto-rickshaw-lorry-truck kind of a vehicle that is super cute. Spend: ₹ 150 for 2 people, approx. 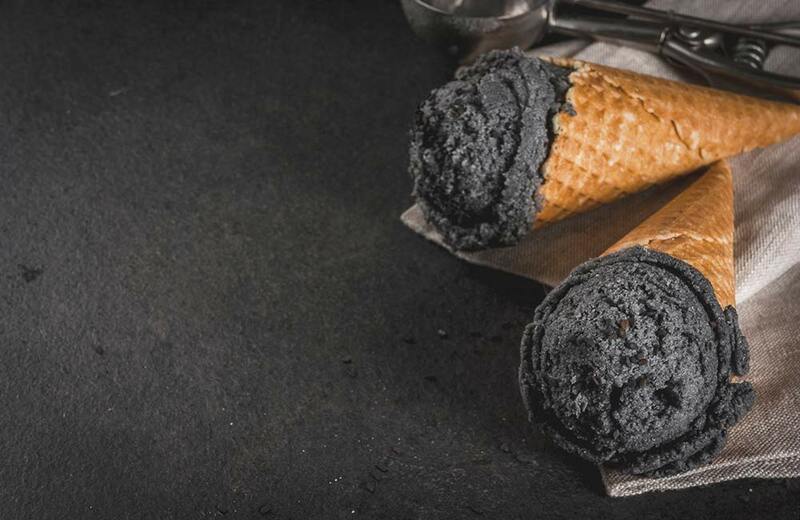 Fancy some gothic, charcoal ice cream with sesame-street like characters that have candy for eyes? 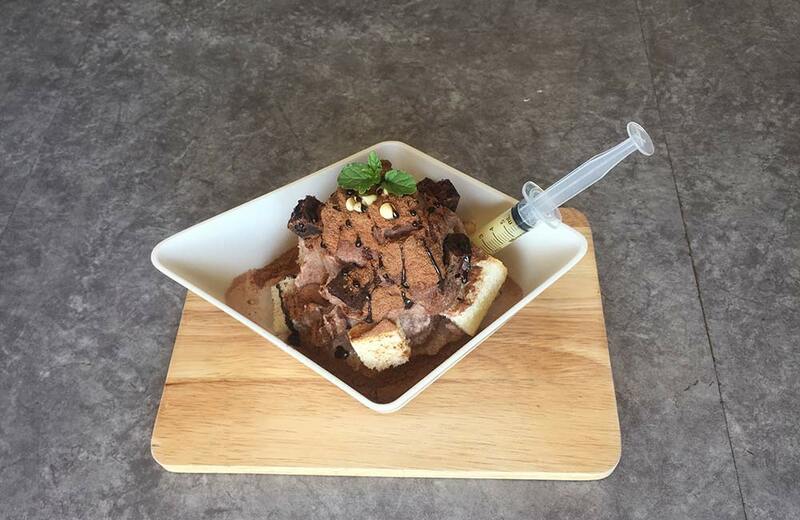 Head to Crème Borne that loves to experiment with its ice creams. And you’re going to love it. A well-decorated but small place with a fun vibe, Crème Borne is easy to miss, but we’d tell you to especially look for it. One of the best ice cream parlors in Delhi, this one’s got huge helpings, fun toppings and of course, gooey, creamy ice cream. Spend: ₹ 500 for 2 people, approx. There’s ice cream and there’s great ice cream and then there’s Niice Cream. That last is at the Select City Walk food court in Saket. You’d want to go there because they let you create your own ice cream from a range of flavors. How great is that? Plus, they’ve also got nitrogen-infused ice creams that are an experience on their own. Two good reasons to make nice with ice cream? Spend: ₹ 300 for 2 people, approx. Want real fruit in your ice cream? No place fits your palate better than Naturals. A Mumbai original, the brand is now just as popular in Delhi and has a beeline of ice cream fans outside its doors at CP. 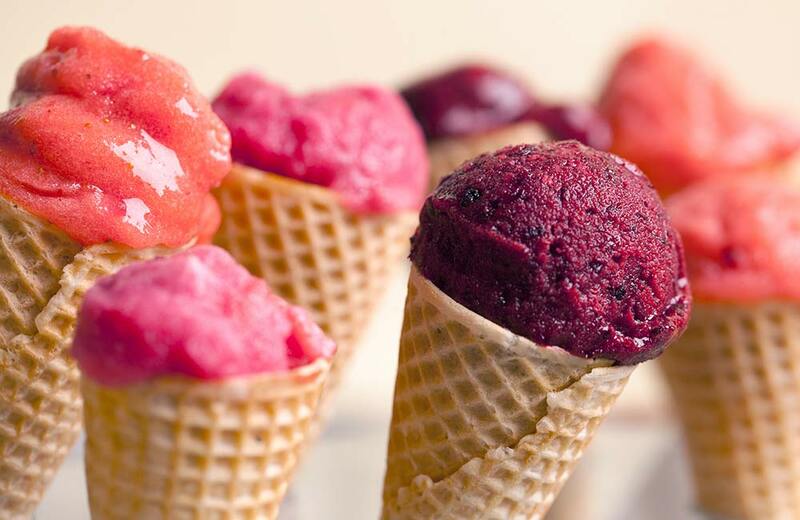 Naturals ice cream is made only from real, fresh fruit, is handmade and does not use any preservatives. You’d love their all season classics like Coffee and Pistachio as well as their seasonal yummies like Alphonso and Chiku. You can’t call yourself a proper ice cream aficionado until you’ve tasted Naturals. Really. They say ice cream is the best therapy for the senses. And if you’re looking for a doctor for your tired city soul the next time, you know what places to hit up. Bon Appetit!